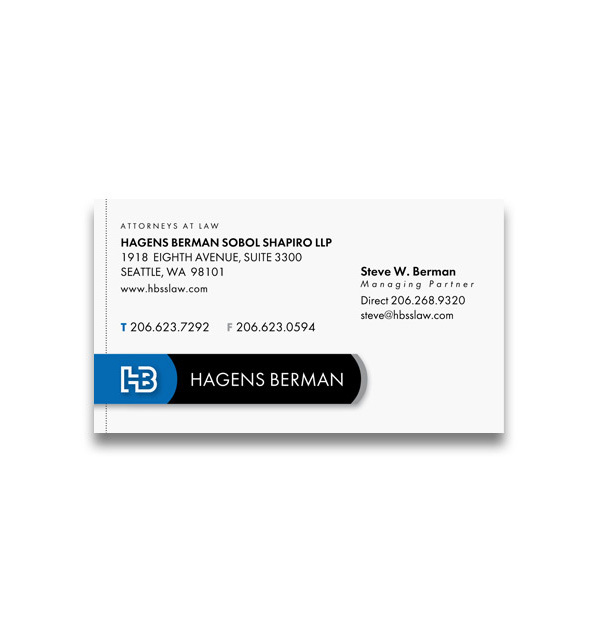 We had the pleasure of working with this law firm for many years as they grew from a local boutique practice to a national powerhouse. Welsh&Co. 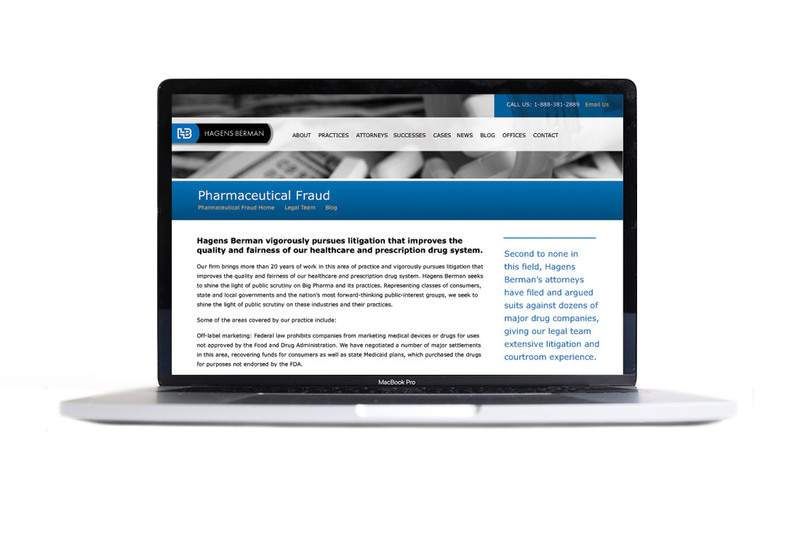 designed their logo more than a decade ago and more recently helped them with a rebranding that better reflected their larger presence and growing number of practice areas. Through identity design, a 44 pg. 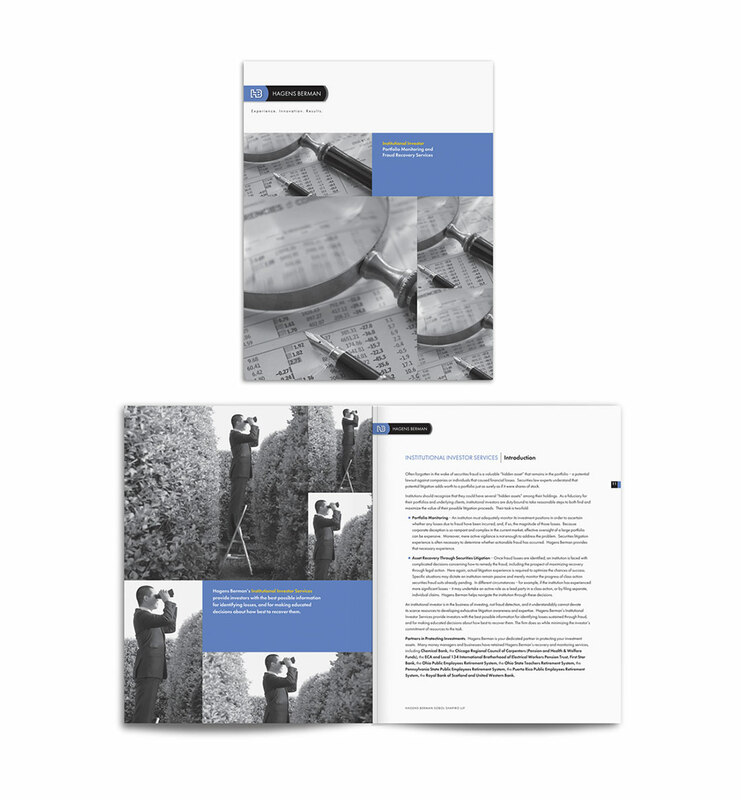 firm brochure, multiple websites, and print and online advertising, we’ve helped them establish and express their brand consistently, everywhere their audience encounters them. Several years after we designed the original logo we helped the firm reposition themselves with a rebranding as they began pursuing larger class-action cases. Along with the rebranding we designed and produced two brochures to highlight the firm's capabilities in specific areas. 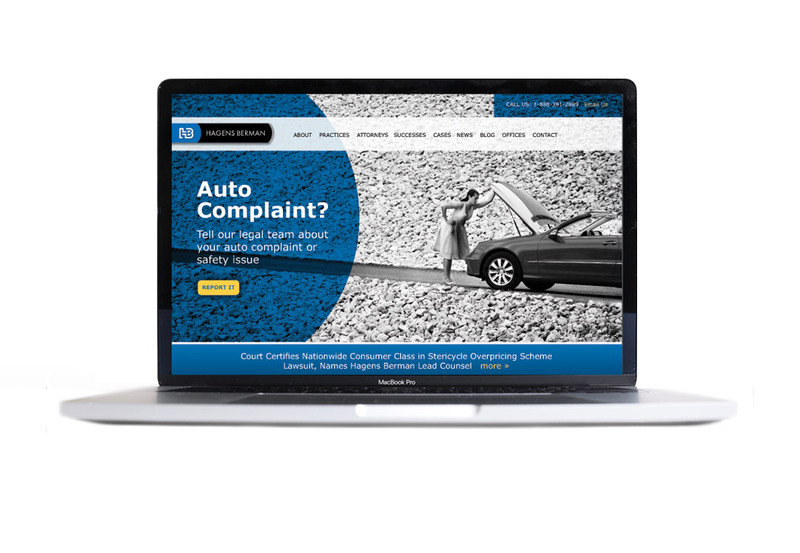 Likewise, we were asked to design a series of websites for the firm to address specific practice areas. 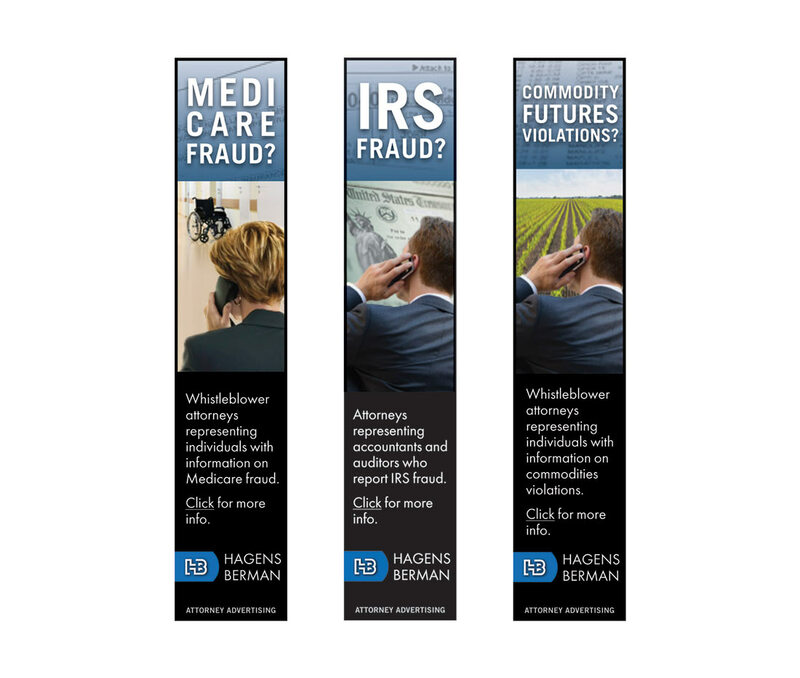 Above are three in a series of banner ads we produced as part of a Google Adwords campaign. 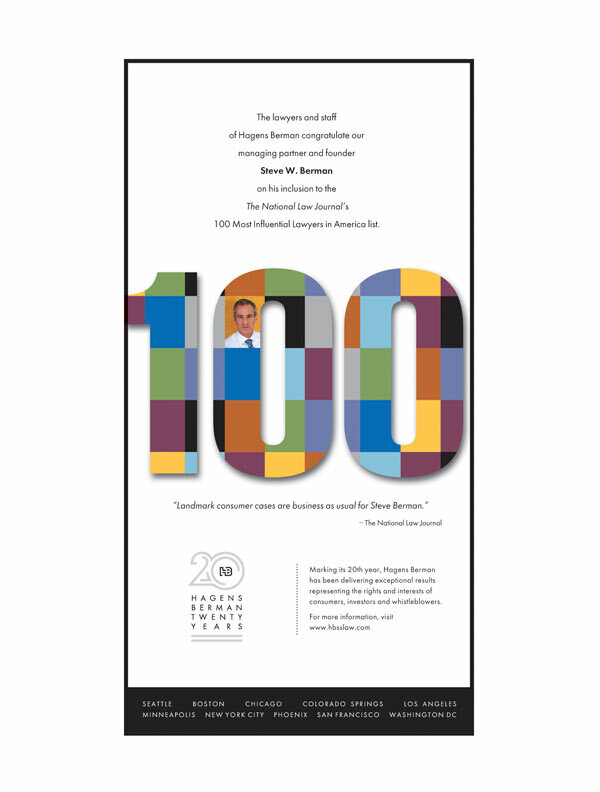 For their 20th anniversary we designed a commemorative logo and a print ad acknowledging principal Steve Berman's inclusion in The National Law Journal's 100 Most Influential Lawyers in America. 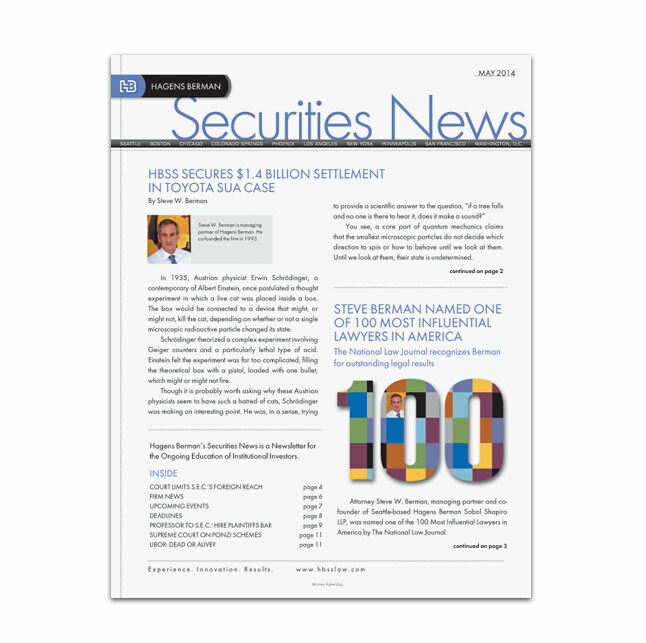 A quarterly newsletter was produced and distributed to clients, attorneys and prospects.